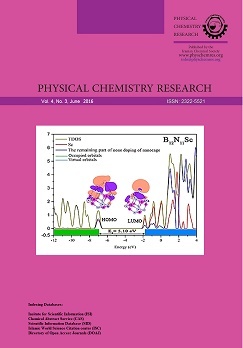 In this work, thermal degradation behavior of a fuel-rich energetic mixture containing epoxy binder was studied by thrmogravimetric analysis and differential scanning calorimetry under dynamic nitrogen atmosphere at different heating rates. 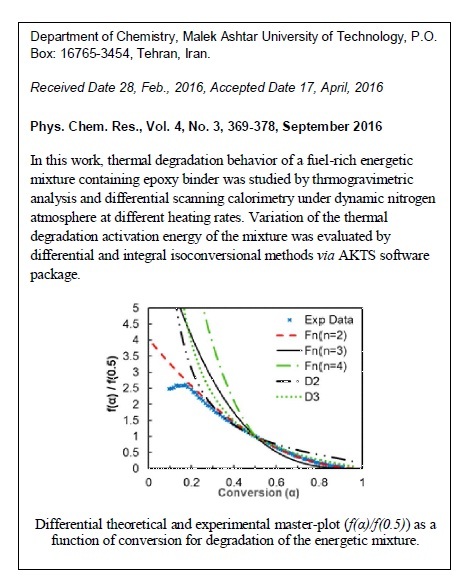 Variation of the thermal degradation activation energy of the mixture was evaluated by differential and integral isoconversional methods via AKTS software package. Model fitting methods were used to determine the reaction model and pre-exponential factor of thermal degradation of the energetic mixture. Verification of the thermal degradation reaction model was done by differential master-plot method. The calculated values of lnA and Ea of the energetic mixture, according to Kissinger method, were 23.9 1 s-1 and 155 kJ mol-1, respectively. Self-accelerating decomposition temperature and explosion critical temperature of the energetic mixture were determined to evaluate the thermal stability.